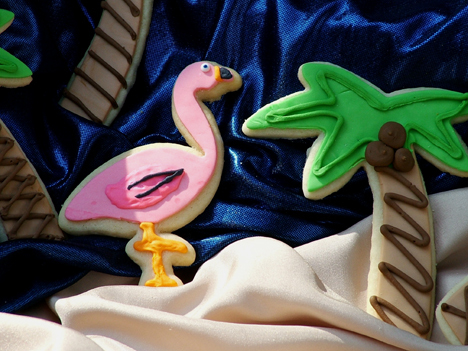 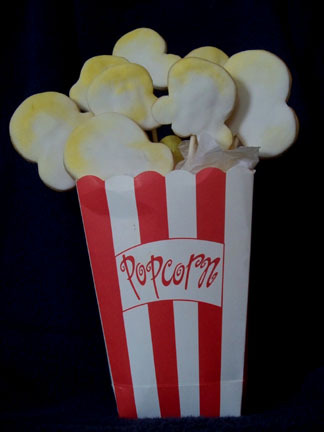 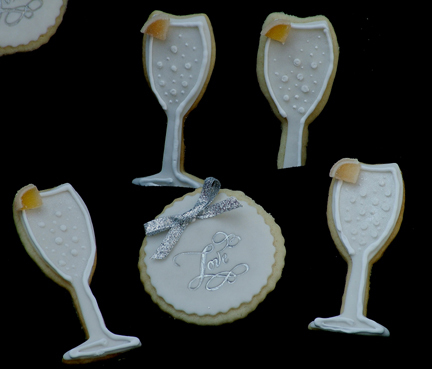 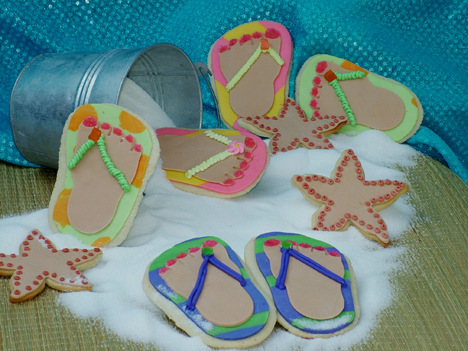 Our delectable, buttery sugar cookie favors are made from the freshest ingredients availabile. 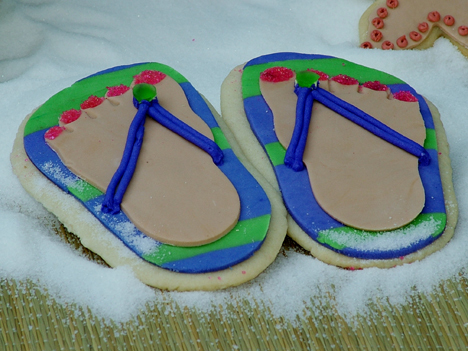 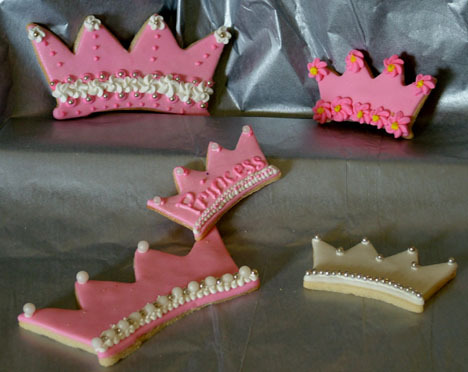 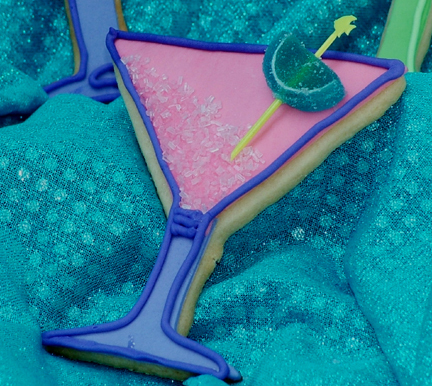 Each cookie is designed, hand-made & decorated by Trish Motley. 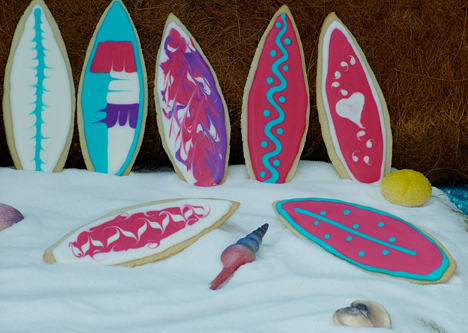 Her attention to intricate details & vivid colors will delight your guests. 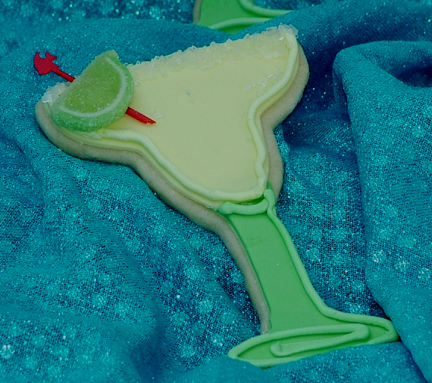 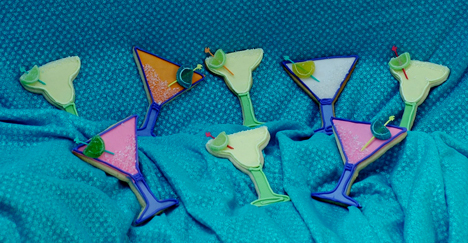 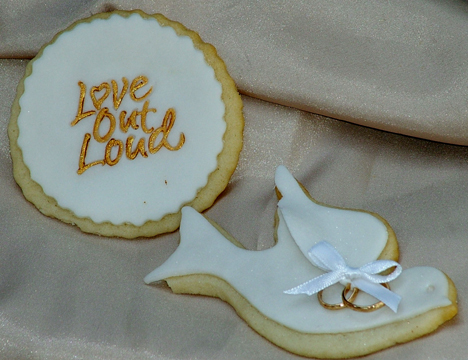 You can customize your cookes with colors to coordinate with your wedding or other celebration event. 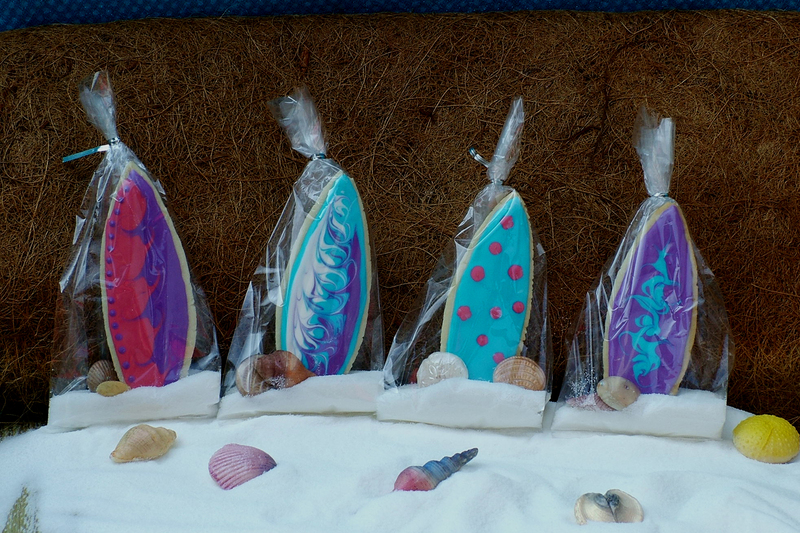 Cookies can be ordered individuallly packaged in clear celeophne bags with your choice of ribbon or raffia for additional 45 cents (surf board packaging is 75 cents additional) . 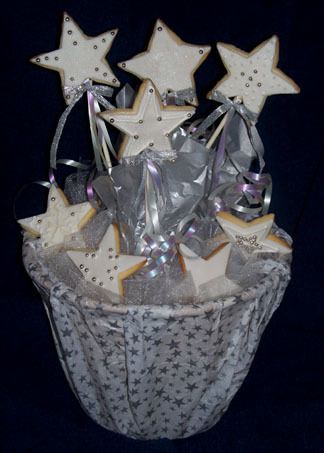 The cookies can also be boxed in bulk . 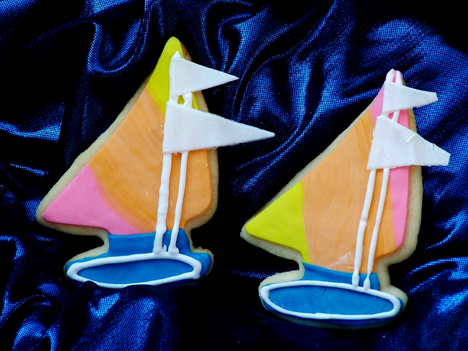 We are happy to ship cookies to your location or delivery is available or customer pick-up in the Fort Walton Beach--Destin area. 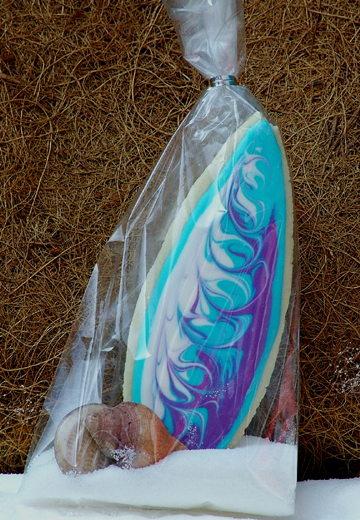 Please allow 3 week advanced notice for your order. 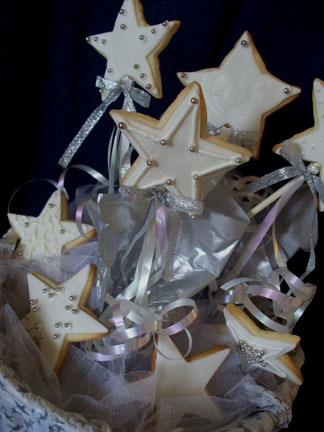 There is a minimum order of 12 cookies of one design. 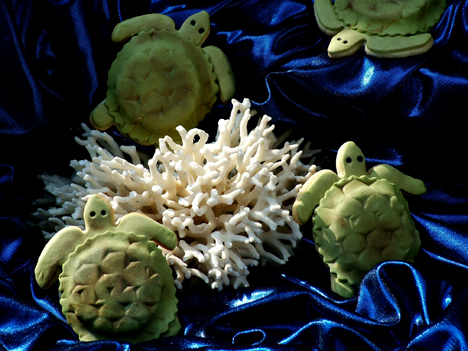 Loveable sea turtles will delight young & old alike!! 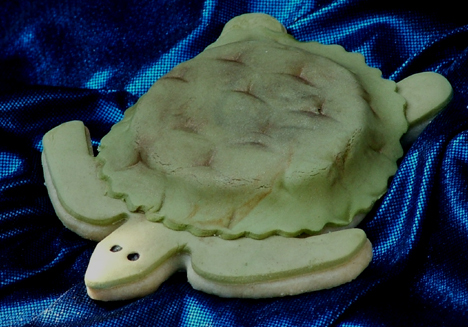 The sea turtles are 3 demenitional cookies. 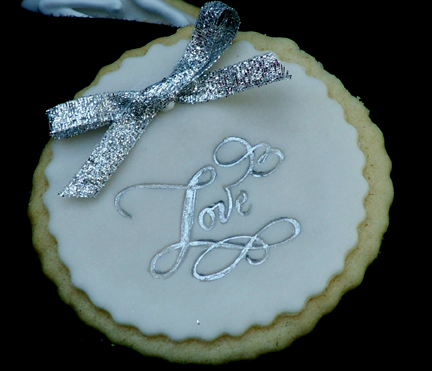 Simply said-----Love Cookie hand painted with edible silver coloring and accented with Silver fabric bow. 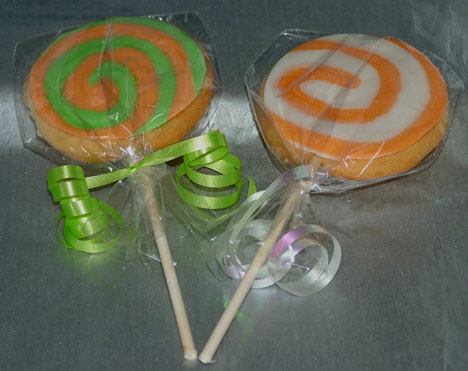 Can be customed colored to your party's theme. 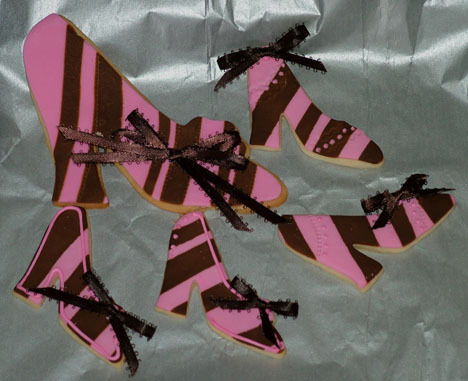 Our Cute Sugar Cookie High Heels Can be customer colored for your event.